Pär Lindh´s band TRITON to headline Art Rock Festival this summer! Please visit the consert page for more info. Hello musiclovers! I just returned from a mixing/mastering session at studio Recordia. PLP Live in Rio de Janerio to be released in the fall 2018. Merry Christmas and a Brave New Year to You All! 2017 has been a much better year than 2016 which was truly hard for us all. I also have a strong belief that 2018 will prove to be even better! RIP – Gregory Lake – The greatest voice in all popular music over the past 50 years. Farewell voice of angels…2016 a very sad year for music! Pär Lindh forms new band TRITON for 2017! My band Pär Lindh Project was struck by the passning of our beloved singer Magdalena Hagberg in 2007 a terrible blow from which the band PLP could never really recover. 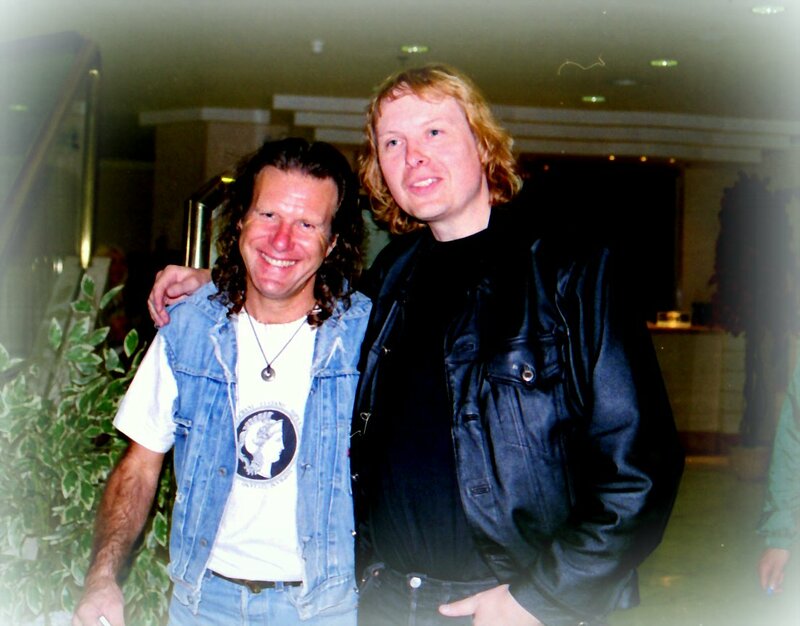 Sadly Mr Keith Emerson rip passed away in march this year. Thus we have a situation today of three great bands that are no more. The Nice, ELP and PLP. In 1995 I played with Lee Jackson and Brian Davisson and we were going to form The New NICE but due to lack of financial backing it didn´t happend. The musical legacy of three great bands all in one show! Two successful consert performances + exciting news! 18th september Pär played his first consert after his accident. 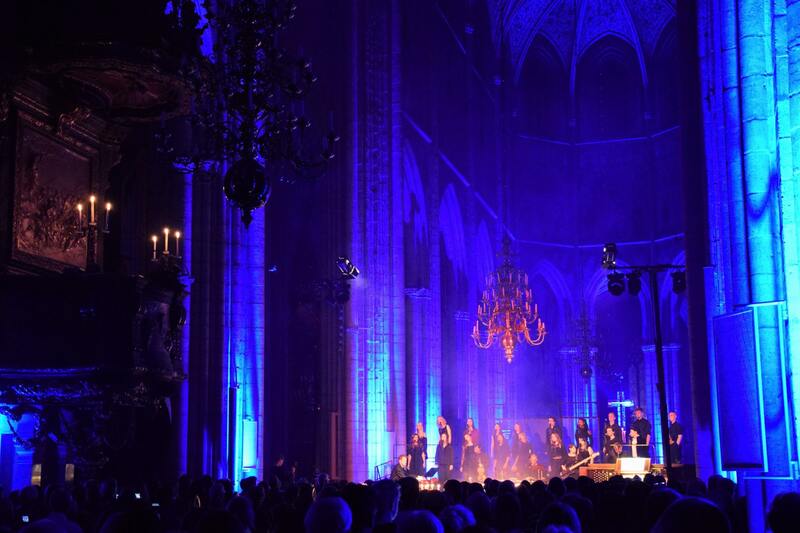 The consert was named ¨the gothic organ¨ where Pär played music by Bach, his own works and also played some ELP songs arranged for organ solo as a tribute to the late great Keith Emerson. News: During the summer 2016 Pär started writing both a pianoconcerto and his first symphony. These works will have their premieres 2017! Good News! The injuries Pär Lindh sustained after his terrible accident 4th of june this year has now healed very well. Says Pär: While resting I have no pain anymore. I can begin to practice bit by bit again and have just finished a ten minutes drumsolo on my big drumkit! So by september 18th I will be back to giving a consert the Organ Race in Skokloster Castle and then I will perform PLP music in Scandinavias biggest cathedral in Uppsala 1st october with a choir and band. And very soon there will be some exciting news on this page! So stay tuned in folks! Pär Lindh had an terrible accident 4th june while working on his estate! Says Pär: I fell so badly it could have ended my carréer as professional musician. I broke my right arm shoulder-joint into four pieces! For ten days I didn´t know if I ever was going to be able to perform again. Finally I got the good news from my doctor after a third x-ray session. I was going to be fully recovered but it is going to take at least three month. If my shoulder-joint had been broken into splinters it surely would have ended my life as a performing musician for good. O what a lucky man I am! … As it held together in one piece and is now healing perfectly! So, Welcome back my friends/fans to the show that almost ended…by september I´ll be back playing concerts once again! Other news: The very next day after the accident I began writing my first piano concerto. To be performed 2017! Tragic death of an Iconoclast! Keith was a true visonary and explorer in music. It has been said that he opened the floodgates for all keyboardists to be a natural part in rockmusic. Also he was one of the most important founders of the whole genre of progressive rock. First with the Nice 1967-1970 and then with Emerson Lake & Palmer 1970-2010. His piano playing was a unique mixture of romantic impressionism and jazz music. His legendary Hammond organ playing was just second to none. And his pioneering work with the MOOG syntezeiser did set a standard which stands tall to this day. Such things as the ENIGMA chord which has been considered the last real new chord invented since Richard Wagners famous TRISTAN chord puts Keith Emerson in the category of real harmonic inventors in the Canon of great composers. For my distaste or even hate of the mass media there are many reasons, but one of the reasons is how progressive rock in general and ELP in particular has been abused in mass media for the last 35 years. It sometimes even bordered on hate speech. I met Keith in 1992 for a wonderful long relaxed interview in a London pub where I had the honour to give him his first ever professional recording with the Ram Holder Brothers from 1966 which was never released and he was very happy about this gift. 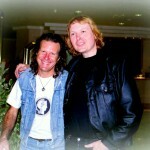 Then we met as I was playing in Los Angeles 1993 and finally just a quick hello after an ELP consert in Prague 1997. He was a very nice and cool gentleman who really took his time answering all of my many questions. Keith Emerson´s work and music and inspiration to all true musiclovers will live on forever. In my classical piano consert repertoire today there are two pieces by Keith Emerson among composers like Bach, Beethoven, Prokofiev, Bartok, Chopin and others. The reason for this is that the very best of Keith´s works is on the level of the very best composers the world has ever known. The new album 25 Pieces for Organ Harpsichord and Piano was released october 2015. This album showcases Pär as classical instrumentalist on all three instruments which has never been done before by a professional artist. The album is avaliable in our shop. Successful Concert with Pär Lindh´s Neo-Barock Music ! Pär Lindh performed his own music using baroque aesthetics with his Pär Lindh Orchestra in a very successful consert at Stockholm Early Music Festival 7th june 2015. 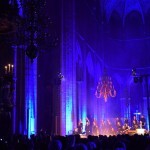 A quote from one of the festival staff: ¨This was the best consert during the whole festival! and the most interesting of the programs. In the past months Pär Lindh and his concerto has been featured on many radio shows in the US and Europe. This week and next week Pär´s music and also interviews with Pär will be on Estonian TV where his concerto has been very successful and has been broadcasted several times including on christmas day. Chicago classical radio made an extensive interview concerning Pär´s christmas concerto and the music of Pär Lindh Project last december. You can watch the Estonian TV program here and it gives you a good opportunity to improve your Estonian. Great reviews for the New Christmas album! Three Christmas Concertos has been released on the new recordlabel Nordverk Classical Masterworks. It is now available from our SHOP. For more info about this release please go to CLASSICAL ARTIST. Paypal now has the service to buy directly via your VISA, MASTERCARD, DISCOVER & AMERICAN EXPRESS cards. The idea is to do a tour with orchestra the season 2015/16. Stay tuned in to this page for more info. you´ll find on Classical Artist page. Finally Hoedown played by Pär in a 20 years reunion gig of his old band TRITON at the Uppsala ArtRock Festival 2013. On Bass Guran Holmberg and on drums Putte Savedra both from the band Manticore. Two classical releases october 2014! October this year there will be two classical album releases by Pär Lindh. His concerto in a-minor for oboe, violin, celesta, tubular bells and orchestra and other orchestra works will released as well as an album with over 20 classical works for organ, harpsichord and piano performed by Mr Lindh. Fantastic response and reviews to Lindhs new concerto. read all about it on the classical artist page! Merry Christmas and a Brave New Year 2014! It was a truly remarkable year for Pär Lindh 2013 and we are looking forward to many concerts and a few CD releases during 2014. It is quite unique for any artist today to show such an impressive artistic command of different instruments as well as different genres of music and still be able to maintain the highest international quality as the composer and multiinstrumentalist Pär Lindh has done over this past year. No less than seven different concert programs as composer, consertorganist, pianist, harpsichordist, Hammond organist, keyboardist and percussionist. All of these performances has been highly successful recieving standing ovations and on every concert there were demands for encores. 1. The Pär Lindh Show On piano Pär Lindh plays a string of ragtime, boogie & jazzclassics while entertaining the audience with comments on the music. Suddenly Pär slips over from piano to his Ludwig snaredrum and continues the piece before slipping elegantly back to the piano for a grande finale. The second half of the show celebrates ¨The drumkit 100 years¨. As an assistant brings forward each item of the drumkit as Pär tells the story of drums from the dawn of man to the present day. To round off the show Pär explains the best technique and ending the concert with a spectacular solo in the tradition of great Buddy Rich. 2. Harpsichordconcert ¨The lost knowledge¨ Pär Lindh has the ability to win over people who never heard of this instrument to become fans of the harpsichord. 3. Vivaldi the four seasons at Forshaga Chambermusicfestival. Stina Ekblad poetry, Nils- Erik Sparv Violin, Pär Lindh harpsichord with an baroque orchestra. A record was set this evening as the biggest audience of the festival ever showed up for the concert! 4. TRITON with Pär Lindh at The Crimson Art Rock festival in Uppsala. ¨Hammond organ power trio¨ with the state of the art real sound from the sixties and seventies. Pär´s customised C-3 Hammond organ, Fender and Rickenbacker basses and a Ludwig drumkit gives this trio a truly unique sound in the musicworld of today. 5. Pär Lindh Project or PLP as their fans calls them were headlining France´s biggest festival for intelligent contemporary rock, jazz, folk & fusion music at the Crescendo festival in Saint-Palais-sur-Mer outside Bordeaux. Rounding of this three days festival of music PLP walked onstage and performed to thousands of fans who had come from all over the world to see the band with a vocalist for the first time in soooo many years! 6. Organrace festival. Once again Pär was invited to play this festival in september at the most impressive baroque castle of Sweden. Pär Lindh played some of his own compositions as well as arrangments of classical orchestral works. 7. Consert in a minor for oboe, celesta, tubular bells and baroque orchestra. For the second time Pär performed his concerto . ¨Then Svenska Julkonserten¨ on the 24 november this year. This time the press were there and in newspapers of several nordic countries Pär Lindh was hailed as one of the greatest composers in Sweden today!